An unrecognized threat to the liberty and prosperity of each American has spread throughout the country, taking root in every state and county. Its current and most serious manifestation was fashioned by an international organization with the explicit goal of replacing the autonomy of individuals over their own land with a collectivist control system that ultimately destroys the natural rights of each citizen. Its weapons for limiting liberty include councils that are similar to the institution of “soviets” that were pioneered by the communists who once controlled Russia. And yet most Americans see it as a well-meaning attempt to create a cleaner, better planet. Government Protection and Protection from Government. In a free society political institutions are constructed to protect the fundamental rights of individuals – including property rights — both from the initiation of force and fraud by other individuals and from the political regime itself. One means by which government is restrained is through voting. Citizens vote for lawmakers including members of the U.S. Congress, state legislatures, county commissions or city councils. They vote for executive branch members, including the president, governors, mayors and county executives. Legislative deliberations are open to the public and votes of elected officials are matters of public record. Ultimately if lawmakers or members of the executive branch do not satisfy the voters, they are voted out at regularly scheduled elections. Unrestrained democracy and concentrated and centralized powers endanger liberty. That is why the U.S. Constitution assigns limited and enumerated powers to the federal government. This concept forms the framework for the American regime – government exists to protect individual rights by application of the principles of equal justice. That is why the powers of government – executive, legislative and judicial – are separated and balanced. America’s Founders intentionally made it difficult for majorities to violate the natural rights of a minority including when the minority is but one person. A major problem especially since World War Two has been the abrogation by legislators of their lawmaking authority to non elected regulatory bureaucracies. The rule-making by these bureaucracies do not receive the kind of attention and are not subject to the kind of checks that restrain lawmakers. Yet some checks still exist; proposed rules must be posted, public hearings must be held and agencies are subject to restrictions imposed by legislatures such as requirements for cost-benefit analyses. But this problem of abrogation grows worse, with “regional” bureaucracies joining the effort. The checks have become impractical and ineffective. Even at the local level, the volume of “vision” meetings, legal postings, public hearings, and public comments result in voluminous rule making that would require legions of citizens to even monitor and report the activities. Many of the modern assaults on private property have been in the name of environmentalism and it is no secret that many advocates of such policies are not merely trying to produce a cleaner planet but, rather, the elimination of free enterprise and of ridding much of the planet and America of the presence of human beings. Assaults on land use have taken a new, dangerous form thanks to the federal government’s adoption, by executive order, of the United Nations’ “Sustainable Development” (Agenda 21) initiative. Sustainable Development requires a much more systematic program, directed in accordance with a globally arranged central plan, than heretofore is found in the local or even federal regulations. The term, Sustainable Development, was defined in the Bruntland Report, Our Common Future, at U.N.’s World Commission on Environment and Development as, “Development that meets the needs of the present without compromising the ability of future generations to meet their own needs.” That report set the groundwork for the U.N. Conference on Environment and Development or Rio Earth Summit in 1992 at which 178 governments, including the United States, agreed to Agenda 21. 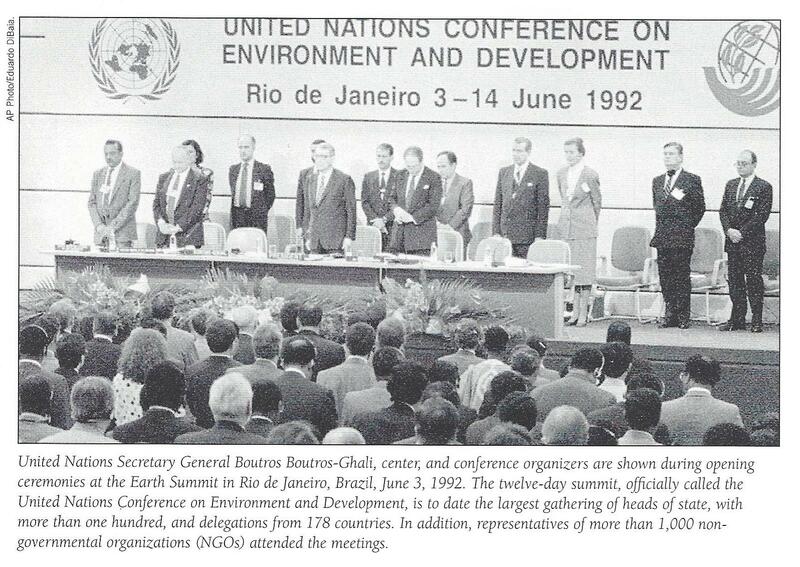 This Agenda and many documents that followed, offered a detailed description of the policies that would allegedly result in “sustainable development”. But as two different indexes of economic freedom, one developed by the Heritage Foundation, the other by an international coalition of think tanks headed by Canada’s Fraser Institute, clearly show, the strongest correlation with prosperity is economic freedom and with poverty, economic repression. Yet the Preamble of the Agenda states that to meet its goals will “require substantial new financial assistance for developing countries.” Further, Article 8 of the Draft Covenant on Economic Development for the Agenda states that “equity will be achieved … through transfers of resources to developing countries.” Of course, this would follow the hundreds of billions of dollars in U.S. aid that has been dumped into those countries over past decades with no results aside from propping up the governments that keep their own people in poverty by denying them economic freedom. Agenda 21 sees governments as the answer. The Preamble states that “sustainable development is primarily the responsibility of governments, and this will require national strategies, plans and policies.” And chapter 4 states that to produce sustainable development, governments should strive to “promote efficient production and reduce wasteful consumption.” The United States submits regular reports to the United Nations to validate the nation’s achievement of the Agenda 21 programs and timetables. In rural areas of developed countries the goal of Agenda 21’s Wildlands Project [now called Wildlands Network] is to eliminate human presence from “at least” 50 percent of the American landscape according to Reed Noss, an editor for the project’s quarterly publication, Wild Earth. That means eliminating roads, bridges, dams, farms, houses and any kind of productive activity. Throughout the country Sustainable policies are driving forestland owners, ranchers, farmers and other rural residents off the land. A wave of NGO sponsored conservation easements are setting up rural landscapes for the loss of private management authority. Without management authority the private nature of land is lost and the Wildland’s Project goals are advanced. The urban version of Agenda 21, usually under the name Smart Growth, seeks to concentrate people into more densely crowded city centers with limited transportation options. Put another way, Smart Growth is a war against suburbs with single-family houses with large yards and individuals traveling principally by automobile. Agenda 21 is a kind of handbook that promotes local action to begin the process of implementing Sustainable Development policies. Any number of actors can start the process. Often it is a representative of a non-governmental organization (NGO), that is, an activist group. These groups can secure official accreditation from the United Nations. The process also might be started by a federal regulatory agency or bureaucrat. Or it might be kicked off by a local government official. The bills initially are often paid for by tax-exempt foundations. These have included the Rockefeller Foundation, Pew Charitable Trusts, the Turner Foundation, the Packard Foundation, the Carnegie Foundation and the McArthur Foundation. The institutional instruments that activists seek to establish are so-called stakeholder councils. Activists might place an ad in local papers announcing an initiative to deal with one of any number of purported problems – water, soil, wildlife, housing costs, transportation etc. The initiating party might call other local activists – members of the Sierra Club and other local environmental and business non-profits – to make certain they are at the meeting. Paid facilitators usually run the meetings. The goal of the facilitators is to reach a “consensus” concerning the problem that is to be addressed. This often involves many meetings, subcommittees and the like. Ultimately some action plans or “best management practices” are issued. Of course, the actions of these councils themselves do not have the force of law. But usually the councils have been working closely with local government officials friendly to their causes. The officials might then secure an act of the city council, county commission, or other body to adopt the council recommendations. Sometimes a federal, state or local regulatory agency with jurisdiction over some land use issue in a particular area, for example, over water use or wildlife, might simply issue the council’s recommendations as its policy. The end result is the loss of a property owner’s right to the management and use of their property and the destruction of the ideals of private property. The U.N.’s concept of sustainable development is antithetical to individual freedom and economic liberty. It is, philosophically speaking, unsustainable. Development in this context refers to the use of naturally occurring materials such as land, forests, rivers, water and the like. The notion of Sustainable Development assumes that if not managed by some collective body, that these materials will be destroyed by individual owners. The United Nations Habitat Conference Report in 1976 stated: “Private land ownership is also a principle instrument of accumulation and concentration of wealth and therefore contributes to social injustice…Public control of land use is therefore indispensable”. This idea plays on the notion that resources are limited. Yet there is no such thing as a “natural resource.” There is only matter and energy in the world that we human beings with our remarkable minds are able to make use of for our survival and well-being. Oil, for example, a century and a half ago was not a resource to a farmer who found it seeping out of his land; it made the land worthless for growing crops or grazing farm animals. Only when men discovered how to use it to heat homes, run electrical generators and propel planes and automobiles did it become a resource. Since from a human perspective there is no limit to the potentially usable matter and energy in the universe, there is no problem of running out of resources. The only problem is which resources will be developed and at what cost. There is nascent technology, for example, to generate energy via ocean waves or to use orbiting collectors that would convert and beam energy to Earth via microwaves or lasers. And University of Arizona, Tucson Professor John Lewis has done serious work on the technology and economics of mining asteroids for minerals. Sustainable Development is supposed to meet “the needs of the present without compromising the ability of future generations to meet their own needs.” This definition is collectivist to the core. Not only does it ignore individual owners of assets, it in effect bestows title to those assets an unborn future collective – not even future individuals who might inherit titles to property but to “future generations.” Agenda 21’s definition of Sustainable Development was lifted from the 1977 Constitution of the Soviet Union. In addition, this conception assumes that one can judge at any given time whether some use of an asset will be sustainable in the future. But such knowledge is virtually unobtainable. Estimates a century ago that America would soon lose its forests – a renewable resource — were wrong; we have more woodlands today than at that time. Predictions at that time that America would run out of oil in a few decades also proved spurious. But more fundamental is the fact that we cannot know how technology will affect the sustainable use of any given asset in the future. A snapshot is not a movie. America’s history shows material progress over past centuries by any measure. If we had asked at any given time whether the use of an asset were sustainable without knowledge of future technologies that are simply unknowable before they are created, not doubt most development and progress would not have occurred. This brings up another flaw in the definition of Sustainable Development. It is likely that future generations will live better than present ones if governments do not sabotage economic growth through takings, taxes and regulations. If anything, the present generation makes itself a victim by forgoing the use of resources for the sake of future ones. The present generation bequeaths to the future a wealth of capital and knowledge. That means future generations will not need to reinvent the wheel. Yet another problem with Sustainable Development is that it does not actually generate demonstrable net benefits. Often Agenda 21 and Smart Growth plans simply define progress in turns of the preservation of a particular asset in a narrow context – preserving a habitat for some particular mouse or insect, for example. In addition to the philosophical problems with sustainable development, the process by which it is promoted through Agenda 21 and the Rio Accords are antithetical to the political institutions of a free society. To begin with, Agenda 21 was never approved by the U.S. Congress. Yet President Clinton in 1993 by Executive Order created the President’s Council on Sustainable Development to implement Agenda 21. This is part of an exploding trend to implement what is known as “soft law,” that is, international agreements that are not legislatively reviewed or approved. Acting on its own and in violation of separation of powers, and concepts of federalism, the executive branch is acting independently to restructure American governance. American implementation of Agenda 21 is hastening the decline of objective law. The strategy of the Sustainable developers is to blur boundaries including those created by private property and political subdivisions and to raid the public treasury. Although implementation of Agenda 21 was never authorized by Congress, Congress appropriates hundreds of billions of dollars each year to programs that further its implementation. Also the councils set up to develop and implement Agenda 21 locally through Smart Growth or the Wildlands Project are essentially models of the “soviets” or councils that were the basis in theory of the former Soviet Union. The councils are not elected but self-selected. They thus bypass all of the constitutional safeguards to which laws and even bureaucracy-created regulations in the United States are subject. They tend to be dominated by activists whose goals are antithetical to freedom. The very goals and structures of these new soviets assume the negation of property rights. To begin with, the notion of “stakeholders,” who are appointed or designated, not elected, assumes that others have a say over the use of one’s property. This is not a situation in which one individual has a claim against another for violating that individual’s property rights. For example, if one individual dumps pollutants on his own property and it seeps into groundwater that pollutes the lake on another’s land, the other might have a case against the polluter. But the notion of a “stakeholder” simply assumes that anyone with an arbitrary claim over the action or the property of another. 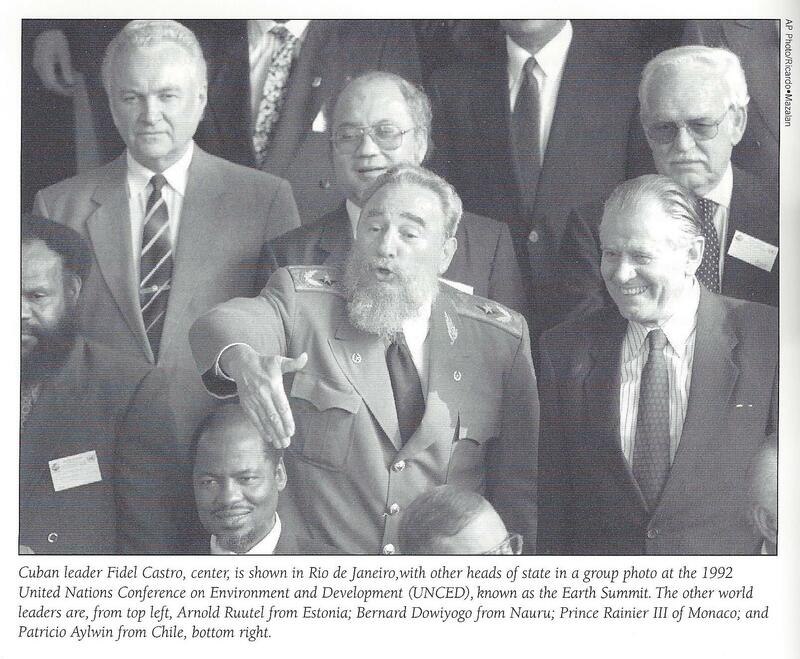 The goal of these soviets is to achieve a consensus among the stakeholders. But a “consensus” by definition means that owners will be forced to use their property or restrict its use in accordance with the soviet’s dictates. Of course, there is a good chance that property owners will not consent to having the use of their land restricted. But the final recommendations of the council are not even voted on by the council members with the majority ruling. Rather, the facilitator or designated members who are often the anti-property activists will pull together the plan. Often if they cannot secure a consensus, they will simply write up a report with the expected outcome anyway. 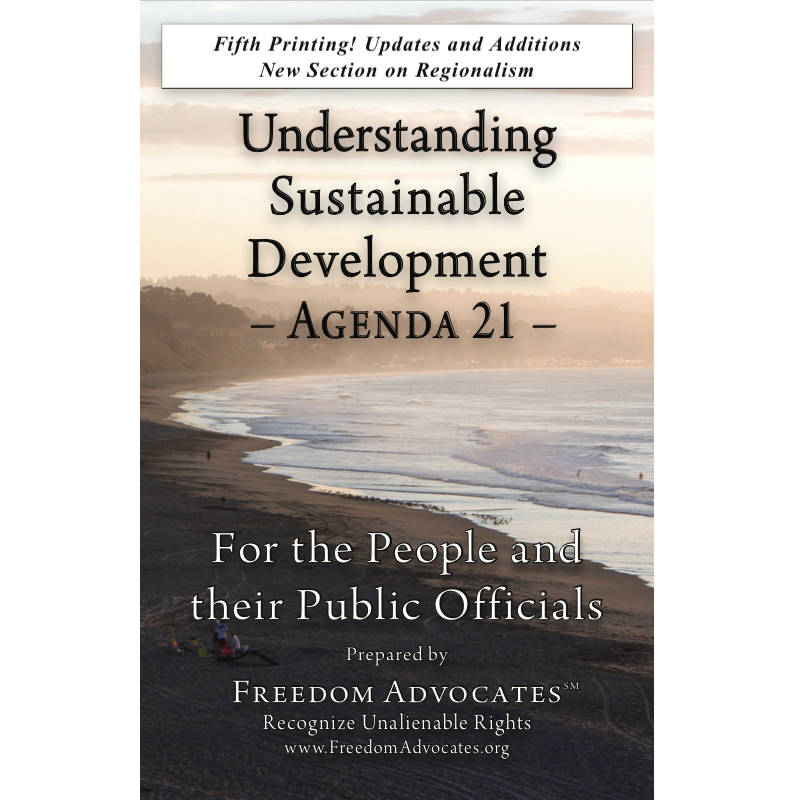 In Santa Cruz California, Lisa Rudnick, investigative analyst with Freedom 21 Santa Cruz, attended the “Local Santa Cruz Agenda 21” meetings for several years. The program consisted of 12 “roundtables”. Participants were not given range to debate the premise of Agenda 21 but did resolve details that mitigated the collectivist goals. The roundtables covered virtually all aspects of life – land use, education, health, reproduction, transportation, housing, jobs and more. When the report was issued for “soft law” implementation and “adopted” by the elected Board of Supervisors the oppressive recommendations bore no resemblance to results of the “consensus” discussion. Under different titles nearly every county in America has or is undergoing a similar prearranged consensus process for implementation of a predetermined outcome. An economic objective of Agenda 21 is the establishment of a system of public/private partnerships. Public/private partnerships combine the force of government with the power of business. They consist of coordinated arrangements between government agencies, compliant businesses and NGOs or non profits. Their growing influence, working under the umbrella of Sustainable Development will eliminate free enterprise all together. The defacto partnership between The Nature Conservancy, regulatory agencies, and government funding mechanisms has proceeded to significantly implement the Wildland’s Project at the expense of the free enterprise land owners and natural resource providers. Private housing developers under Urban Smart Growth can receive land, federal and state financial subsidies and permit processing waivers in exchange for partnering with the local the government’s “Housing Authority” and by building to Sustainable Development criteria. These criteria can include: water and eclectic use masters, provision of government preschool child care, auto use restrictions, minimum densities, required mixed use, resale restrictions, rental rate restrictions, life style regulations etc. Even seemingly innocuous partnerships portend of the new world of Agenda 21. The local green restaurant league is a government funded certification of restaurants granted to those that abide by “voluntary” green rules – water to customers only upon request, no-flush toilets, a menu that only serves from the Packard Foundation’s “Sustainable” fish list and so on. Government carrots and sticks begin to dominate even the management of a running a restaurant. The ultimate criteria for American business under Agenda 21 becomes – Are you a friend of government? Are you compliant with Sustainable policies? Never mind the notion of customer as king. Agenda 21 is the new king in town! Of course, a group of private individuals could decide anything it wanted about how one should use one’s property but those conclusions would merely be opinions that could be ignored by property owners. For example, if an individual owner is deep tilling on his own farm and this action in no way harms or measurably damages the property of another, in a free society there is no issue of securing “consensus” from his neighbors or government. If members of some private council do not like this practice, too bad! The farmer’s right to his property means he can do with it as he pleases and is answerable to no one unless he violates common law standards of nuisance. The council conclusions must be backed by the force of government if the owners’ rights are to be violated. Agenda 21 advocates have any number of means by which to give council conclusions the backing of government force. State legislators or county councils might approve the plans. Or a federal agency might impose the agenda under its regulatory authority. One problem for property owners is that the little soviets work on many levels with many governmental authorities and NGOs. They can call on off-the-shelf plans to be applied to local situations. The owners thus often need lots of money and time to fight battles on many fronts. State collectivists on both the left and the right serve as collaborators in the emerged sovietization of the American governmental process. Both work their end of a two sided coin designed to implement Agenda 21’s global land use, global education and population control and reduction programs. Often the implementers are unwitting; some are motivated by a paycheck, a grant receipt or insider advantage. Other change agents understand the philosophy and goals behind Agenda 21’s political globalization. Sustainable Development/Agenda 21 is quickly regionalizing America. Regionalization will cause the collectivization of property and of human action. The philosophical target is individualism – the right of each to a life of one’s own. The end game of Agenda 21 is global governance pursuant to the Charter of the United Nations. George H.W. Bush said in 1992, “It is the sacred principles enshrined in the United Nations Charter to which the American people will henceforth pledge their allegiance”. Agenda 21 is intended to transform American political culture. The core philosophical concept behind this transformation is apparent by reference to Article 29 Sec 3 of the U.N. Declaration of Human Rights: “Rights and freedoms may in no case be exercised contrary to the purposes and principles of the United Nations”. The unannounced war being waged inside American government is on individual liberty. 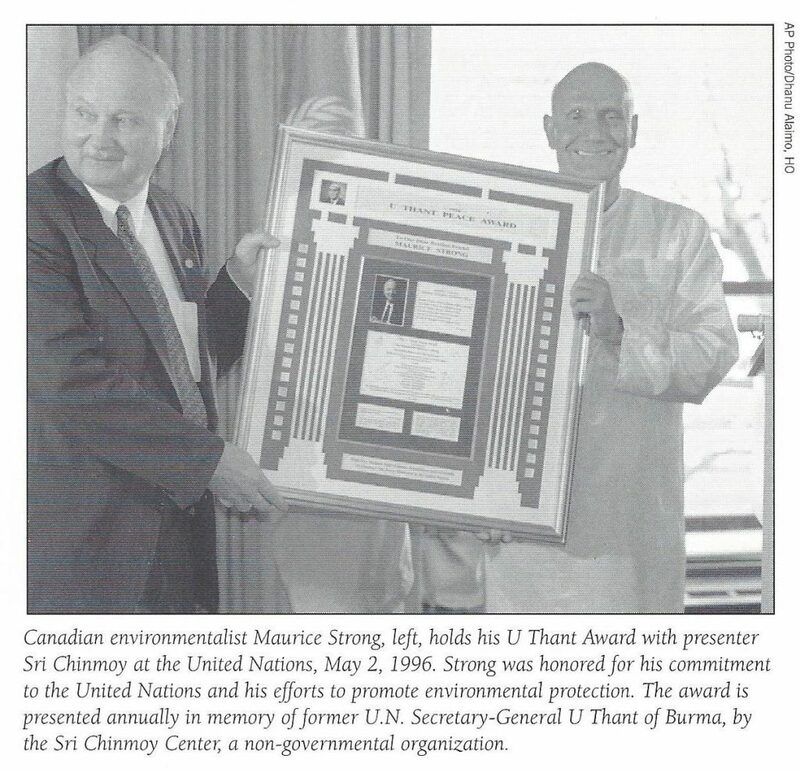 The United Nation’s program of Sustainable Development, Agenda 21, is a new and dangerous threat to the liberty and property of American citizens. It uses as an instrument of restricting property use that utilizes a coordinated set of local regional and apex soviets that undermine the political safeguards in a free society. Once the organizations and institutions are in place, it becomes extremely difficult to uproot them. Americans who value their freedom must understand the philosophical and political problems of this threat if it is to be effectively countered. Property rights are an indispensable requirement of a free society – That is why they must be restored. This article was first printed in The New Individualist (April/May 2005), a publication of The Objectivist Center; and second at NewWithViews.com (October 2005).